This is basically the result of not having time to mesh, but wanting to do something. 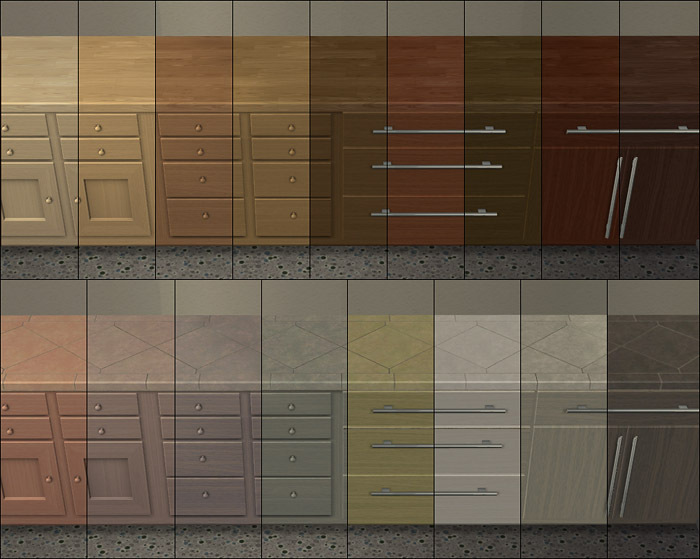 The other eight recolors combine tiled countertops with matching counters. 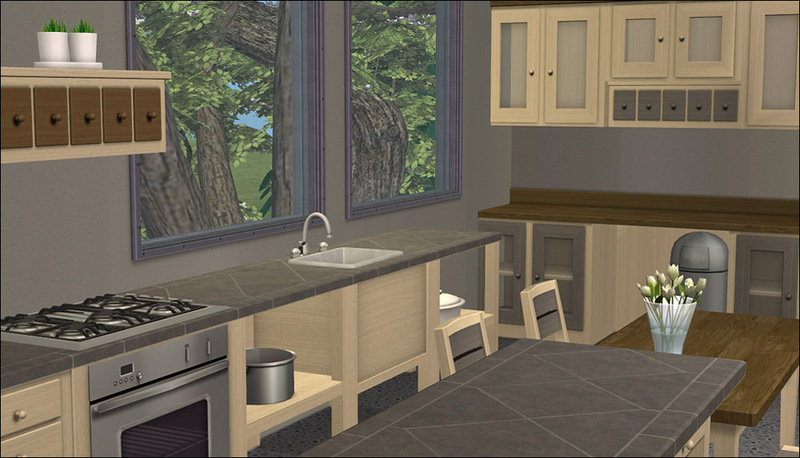 The recolors will show up on the Kitchen Basic Set, the Shakerlicious Kitchen Set and lots of other gorgeous stuff you can find at Buggy's Blog. Buggybooz for the meshes and being an awesome creator! 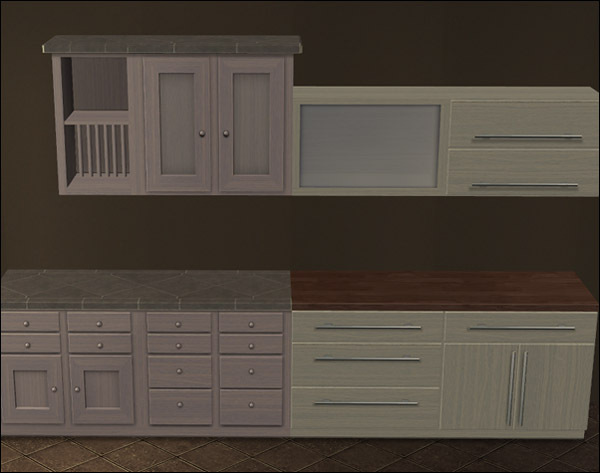 These recolours may or may not be endorsed by Hek.